Bronzers are essential when dealing with a full-face makeup. It helps in highlighting areas you want to pop up, and it can also be used to darken some features of your face to create a shadow look that is best for contouring. There are two types of bronzers in the market which usually give confusion to some makeup rookies. The first type of bronzer is the one with shimmers which is used for highlighting areas of the face while the other one is the matte bronzer which is normally used for contouring. 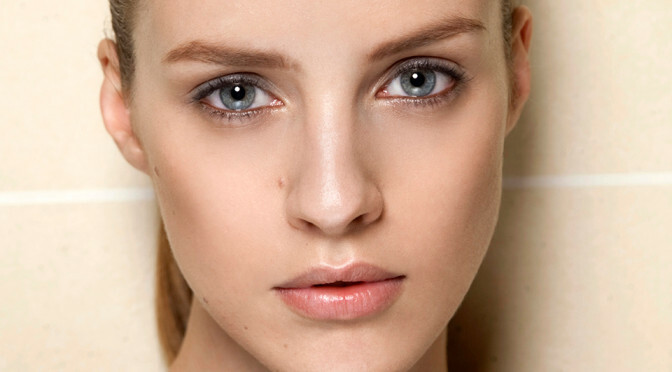 Applying foundation to your skin – What are the major benefits? Foundation can be a way of covering up the skin in order to enhance its appearance and also hide the fine lines, wrinkles and blemishes which you may have developed over time. Nowadays, applying foundation serves a more beneficial role. When you are applying your makeup for a party or every day wear, no makeup application is complete without a layer of foundation applied to your skin. Foundation can now be considered good for your skin’s health, for they now carry the quality of protecting your skin from pollution, the sun and balancing oil and dryness. With normal day-to-day living, our skin can become overexposed to sun and pollution. Since our hands and face are the most exposed regions of our body, we need to take extra care of these regions. Since these areas will be affected by the sun rays, it is our duty to protect these areas from aging. Pollution can come to your skin in different forms and sometimes the effects will not even be visible through the naked eye. The very first signs of free and radical damage to our skin comes in the form of inflammation. After that, it takes the form of irregularities, wrinkles, and fine lines. Therefore, applying a protective barrier in the form of a foundation can help your skin look young and prevent it from aging. Although receiving a minimum amount of sun exposure is healthy for our skin, it can still become pretty harmful if we do not take it in the right way. Overexposure to the ultraviolet rays of the sun can be the main cause of premature aging of our skin. Too much sunlight could lead to sagging skin, hyperpigmentation, fine lines, and wrinkles. By applying a dash of foundation to your face, you can prevent your skin from aging prematurely. Should you use foundation daily? Considering the anti-aging benefits of the foundations that you find nowadays, you might as well think of using foundation every day. It can benefit the tone of your skin and cover any blemishes you may have. If you wish, you can definitely wear foundation on a daily basis. You will just want to make sure that you are taking the extra steps at night to clean the foundation and other makeup from your skin. Although applying skin foundation can become a useful skincare product, there are still things that it cannot do. By being aware of such limitations, you can help yourself minimize misuse and you will not have unrealistic expectations from this product. Foundations cannot correct some major flaws in your skin, such as the pigmentation issues or some scars. Therefore, if you are wondering about the benefits of applying foundation, you can take into account the facts mentioned above. You may be interested in purchasing Touch Mineral Liquid Foundation and see how it changes your whole outlook.